With this option, your pet is cremated privately at a licensed crematory. The ashes are contained in a lovely wooden urn and will be returned to your primary care veterinarian within two weeks. They can also be made available directly from the crematory or mailed to you for an additional fee. This option is for families that don't wish to have their pet's ashes returned nor wish to bury at home. Pets are respectfully cremated with other pets at a licensed crematory and ashes are scattered on private property. We are here to answer your questions every day, from 5am - 8pm. Appointments are scheduled throughout the week, please call for availability. As a child, growing up in Bellevue, WA, my dream was to become a veterinarian. I always had an inherent, deep compassion for animals. When I was in second grade, I volunteered to take home the one-legged chick from the brood another class was raising. Not a single student wanted it and the other chicks were mean to it. In my eyes, there seemed to be an obvious solution. Much to my parent’s dismay, we successfully raised a chicken! I’m proud to say, my parents experienced several other episodes like this from me throughout my childhood. If nothing else, it certainly kept their life interesting! Although I could never deny my love for animals, my path wavered when I started college. I ended up graduating with an undergraduate degree in Equine Business and Management from Rocky Mountain College in Billings, MT. My goal was to become a breeding farm manager, however, other opportunities afforded me the ability to relocate to California to work with high-school aged autistic students. I later moved back to Bellevue, where I decided to revive my childhood dream. I first went to work as a vet assistant and within a few months announced to my family that I was going back to school to become a veterinarian. They were not surprised at all; in fact, they knew it was only a matter of time. I completed the necessary prerequisites at Washington State University and advanced into their Veterinary Medicine program thereafter. Although those 4 years of vet school were some of the toughest years of my life, they were also the most rewarding, as I knew I was finally where I was supposed to be. Upon graduating, I worked in a couple different small animal practices where I found the greatest fulfillment in helping with senior and hospice care, as well as guiding families through the process of saying goodbye to their beloved pets. When I discovered Lap of Love, it was clear that my calling was to become a hospice veterinarian. Today, I am the parent of a lively little Chihuahua, Little Man, and a long-haired cat, Nigel, with hopes of adding a pug to the family someday soon! I spend my free time reading, writing, with family, and riding my thoroughbred horse, Sparty, in dressage. "Thank you to Dr. Choate who made this whole experience a beautiful and peaceful one. God bless you. There is a special place in heaven surrounded by all the loving animals you have helped pass peacefully into their next phase of their journey. We appreciate the support and professionalism you showed during the most intimate time of our lives." "Our deepest thanks to Dr. Casey Choate for helping us through the end of life decisions for our dear Molly. We were fortunate to have had Dr. Casey as Molly's primary vet before she dedicated herself to Lap of Love, and her fondness for Molly and intimate knowledge of her health history was so important to us as we faced the prospect of euthanasia. "The two most important things pet owners can give their pets are a good life, and a good death-" said Dr. Casey. She is absolutely right. We did all we could on the first part, and Dr. Casey, with her big heart, helped us with the second part. Many, many thanks." "Dr. Casey was such a important part of respectfully helping Max in his last days. She gave him a brownie (his first!) and helped us with how the process was going to go in such a warm and compassionate way. There was no rush, the time was difficult but beautiful. Max was never anxious and he was surrounded with our love the entire time. In the next days we were contacted by Dr. Casey and always felt her support." "Today was a hard day for our family we put our dog Red to rest after 12 years of life. DR Casey was so wonderful and compassionate not only for Red but for us as well she explained everything as she was doing what she needed to do. Thank you so much for what you guys do and thank you for being able to come to our place. "Dr. Casey was so kind and compassionate. 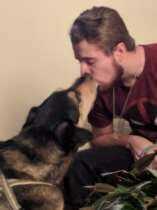 She did not rush us, she allowed us to have our last moments with Timber with such gentleness. She explained every step which was so comforting. One thing she said to me was "you are doing right by Timber". I can't tell you how much it meant that she said that, it was a question that was tormenting me for weeks leading up. Thank you Dr. Casey for coming to our home to care for our sweet Timber." "Dr. Casey was fantastic through the whole process. I really apricated her calm demeaner and honest answers." We proudly serve the greater Vancouver area, including areas in and around Portland. Due to the expansive area covered, there may be a travel fee of $50-$100 based on your location.